Rinat Akhmetov: I want to say thank you to each of you! On August 12, Rinat Akhmetov had a working meeting with the Humanitarian Centre’s activists, at which he thanked everyone for the huge work they had carried out during the year to rescue the civilians of Donbas in need. "I want to say thank you to each of you. For the whole year, in a consistent way, 24 hours a day, you have been helping people survive. And I am deeply convinced that if someone doesn’t perceive the pain of others as their own, without involving their soul and heart, it will be impossible for them to perform the kind of work you have been doing! So I want to tell you thank you very much! Even in a nightmare I could not dream that we would be saving our fellow countrymen from starvation. Helping them to survive. It’s a frightening word – "survive", but that’s true. 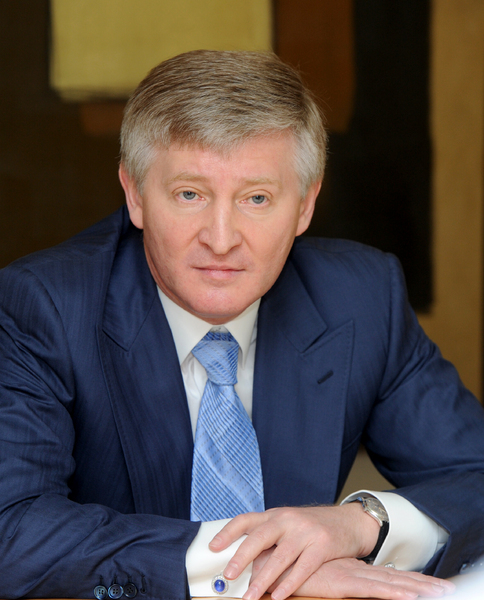 You know better than anyone else how our assistance helps them, how people expect it,"- stressed Rinat Akhmetov. The line managers told the founder of the Centre about the work specifics, the existing problems, about people’s attitude to the aid and about the issues requiring urgent attention. As of August 12, the Humanitarian Centre has distributed four million food sets among the civilians of Donbas. "The Centre runs at full capacity", - emphasized the Centre director Grigoriy Koldunov. "Rinat Akhmetov conveyed sincere gratitude to each volunteer who has worked at the Centre throughout the year. Thank you very, very much! The meeting was very warm. We analyzed what has been done, we were talking a lot about how we would continue to help people. Rinat Akhmetov said once again that Donbas is in his heart forever and that he has never left it in his thoughts even for a second. He will help for as long as his assistance is needed,"- told us after the meeting Rimma Fil, the coordinator of the Rinat Akhmetov Humanitarian Centre. The Rinat Akhmetov Humanitarian Centre was established on August 6, 2014. It combined the resources of the Rinat Akhmetov Foundation, the SCM Group businesses and those of FC Shakhtar. The Centre operates in the following areas: humanitarian food assistance to civilians, targeted assistance, psychological support for the war-affected children and their parents. • 1,942 kids underwent rehabilitation as part of the Peaceful Summer for Donbas Children programme (600 children – at a children's camp by the Sea of ​​Azov, 1,342 children vacationed at summer children's centres).